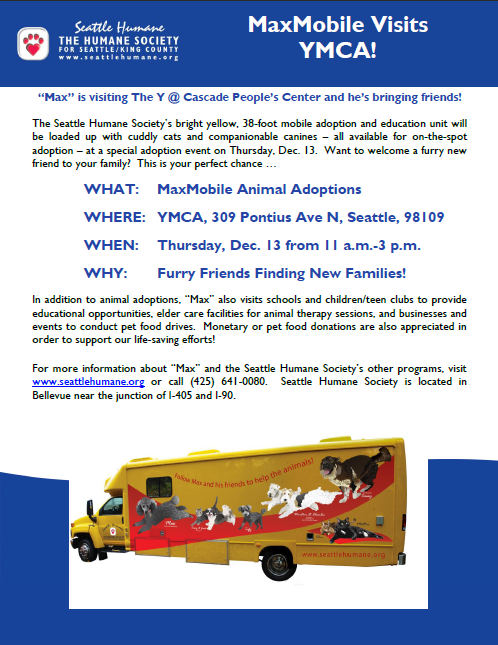 We are so happy to annouce that we will be hosting TWO pet events on Thursday, December 13th in partnership with the Seattle Humane Society. From 11-3, the MaxMobile will be paying a visit to the CPC. If you are looking to make a kitty or pup’s holiday season brighter – this is your chance! 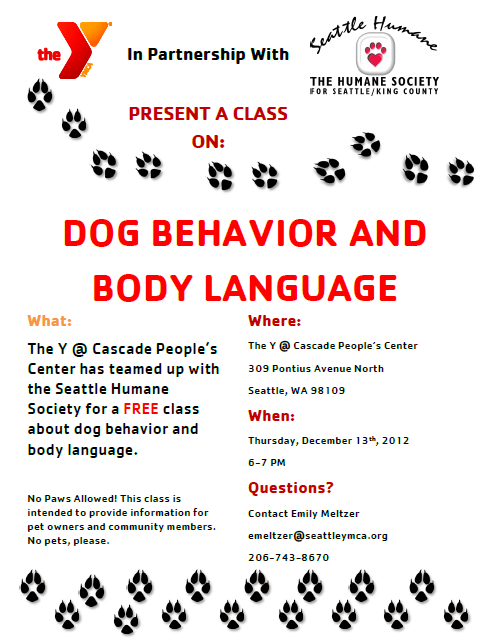 The second event is a FREE class on dog body language and behavior from 6-7 pm. We hope to see you there!